From the moment he walked through the doors of the Sarnia Sting dressing room hoping to make the OHL team, to his 201-game NHL career with the New York Islanders, Matt Martin enjoys being a big hit. Greg Walters, the 80th overall pick of the Toronto Maple Leafs in 1990 and former Ontario Hockey League assistant coach, wasn’t quite sure what to expect when the physically imposing kid from Windsor came looking for a roster spot. Walters soon discovered Martin wasn’t going to make it easy on Sarnia brass when it came to deciding his fate. “I remember early on, he would line up 50 pucks at the blueline after practice and then go stand in front of the net,” recalled Walters, now the head coach of the Georgetown Raiders of the OJHL. “He was waiting for me to shoot them so he could try and tip them in. He’d get hit by some of the pucks, but he didn’t care. He wanted to make the team and he worked hard for that to happen. Martin appeared in 39 games for the Sting in 2006-07. He recorded three goals and three assists along with dishing out plenty of hard hits. The following season, Martin lit the lamp 25 times. In 2008-09, his final campaign with the Sting, he had 35 goals and was playing alongside one of the top junior players of all time. And a story that is far from over. Martin, who was selected 148th overall by the Islanders in 2008, is playing an integral role for a New York team looking for back-to-back playoff appearances. Last year, the Isles finished eight in the East, but were eliminated in six games by the Pittsburgh Penguins in their quarterfinal pairing. There are also plenty more bodychecks to be delivered courtesy of Martin, who holds the record for most hits in an NHL season (374, recorded in 2011-12). 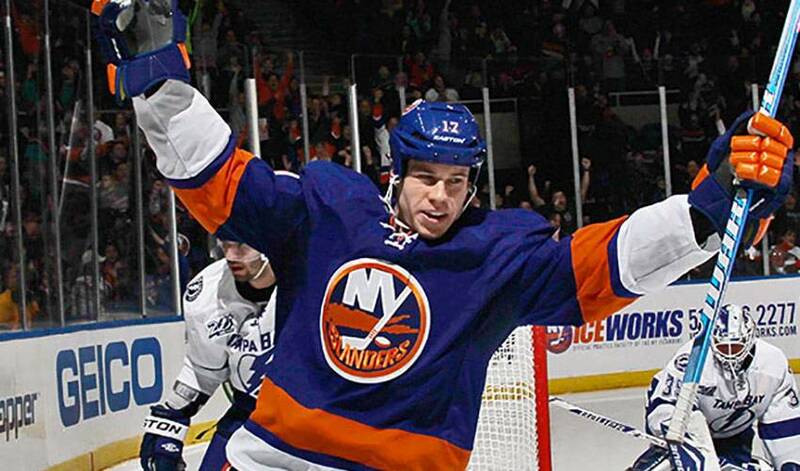 His proud former coach will tell you Matt Martin is, without a doubt, a smashing success.